After the last week I know this is possible. After leaving my job (almost a year ago) to follow my passions and figuring out what that looks like. In one week my new life as an Information Curator™ came to fruition. 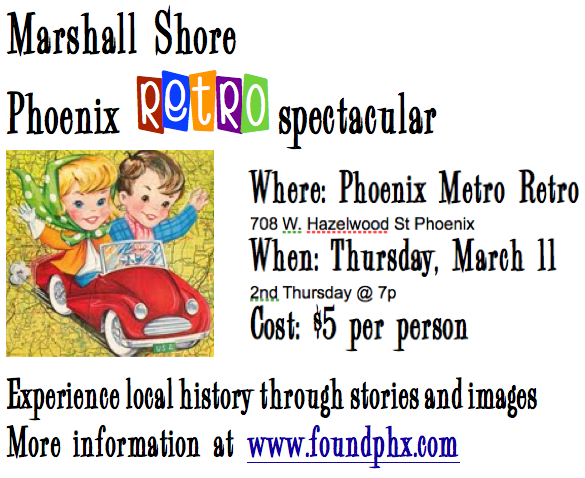 The Second Thursday of Feb, I began hosting a Marshall Shore: Phoenix Retro Spectacular, check out foundphx.com for more info. 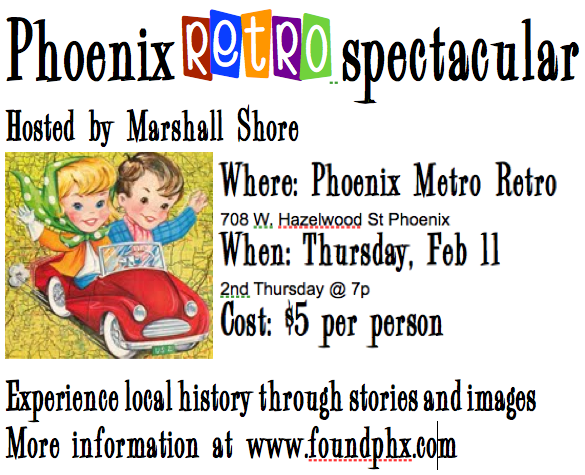 It was a huge success, had a blast curating and presenting to a 50 + crowd at Phoenix Metro Retro. Two days later Paul and I hosted our Annual Mardi Gras that raised $135 for CASS. If that was not enough, a few days later presented Off the Shelf: Looking Beyond Libraries for Inspiration for Infopeople. Life is amazing and I could never have dream I would be here writing these words. Best advice just do it! This is the inaugural event for a monthly event that I am hosting. So block the 2nd Thurs. off on your calendar to learn about the history that makes our valley unique. Our journey will begin on the mother road of the valley US Route 60.